This condo is what we like to call the beacon of seaside living! Ideally located just minutes away from Manhattan Beach Pier, providing you convenient access to fine dining, boutiques, entertainment, award winning school and so much more. All designed with hand selected finishes and tasteful light fixtures to create a modern yet beachy atmosphere. Light-wash oak laminate flooring runs throughout the bottom level, complementing the neutral paint tones throughout. Large windows let in the fresh breeze and illuminate the space making it feel open and bright! The kitchen features white shaker cabinets with soft close hinges, quartz counter-tops, custom shelving, modern black hardware, recessed lighting, and NEW stainless steel appliances. Upstairs, delight in the master bedroom with dual closets for plenty of space. Both bedrooms are lined with warm plush carpeting for comfort, and the full bathroom boasts a unique floor mosaic, modern vanity, and chrome fixtures. Ideally located and this condominium will not go unnoticed! Request a viewing today! Lot Size: 0.13 Acres / 5512 Sq. Ft.
SchoolsClick map icons below to view information for schools near 1311 Manhattan Beach Boulevard #2 Manhattan Beach, CA 90266. Home for sale at 1311 Manhattan Beach Boulevard #2 Manhattan Beach, CA 90266. 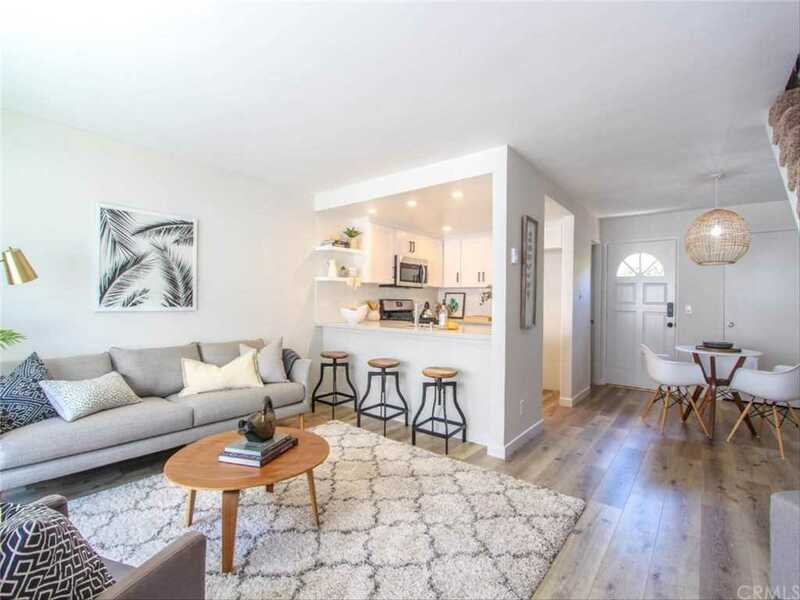 Description: The property at 1311 Manhattan Beach Boulevard #2 Manhattan Beach, CA 90266 in the subdivision with the MLS# SB19022132 is currently listed for $700,000 and has been on the market for 86 days. You are viewing the CRMLS listing details of the home for sale at 1311 Manhattan Beach Boulevard #2 Manhattan Beach, CA 90266, which features 2 bedrooms and 2 bathrooms, and 922 sq.ft. of living area.